One area of gaming has particularly been taken over by women, that is the world famous, lovely game of Bingo! For years now, bingo has been a social game, where ladies (mostly the elderly), get together, have a chat and play the game they love. That said, the game itself is now becoming more popular with the younger generation, thanks to the invention of online bingo. The CEO of Bestbingo.org.uk, a popular online portal that lists the top bingo sites in the industry, has gone on record saying “Bingo is just getting more and more popular. It’s not just women nowadays, blokes are trying to get in on the action too. However, the demographic is now approximately 2 thirds women and 1 third men. As time goes on, I think this will stay around this percent, however, to say that bingo is a game for women only is definitely a stretch”. Now although, let’s say, 1/3rd of men play bingo, why is it that much popular with women? My first suggestion is that bingo sites are more catered towards the female demographic, for example, the websites are designed with pink and purple colour schemes and just generally have a very feminine feel to them. Companies such as 888 Holdings, cater all of their bingo sites to women, with the likes of 888 Ladies leading the way with a bright pink colour scheme. Next, we have the fact that bingo is primarily a social game. Players sit around and chat with each other whilst they play frequently, plus with the demographic being frequently female, male players don’t really have their own safe space and might feel like they don’t fit in with the theme of the chats that are going on. Finally, I think it’s important to look at games such as casino and poker, which are also gambling games, and look at why they are more popular with men. One potential reason is that guys typically are more fond of strategy games where there is an element of skills compared to luck. 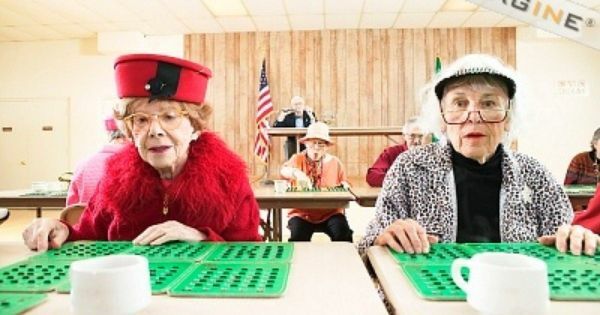 With bingo, the game is complete luck whether you win or not, as such it may not be as appealing to some demographics. Taking everything in to consideration, it’s easy to see that bingo is popular with both men and women, however, girls are definitely more into it and take it more seriously than guys. There may be a slight negative social stigma about men playing bingo, since it’s not exactly seen as the most manly thing. That said, for the most part, the game is open to a wide variety of people and most who play enjoy themselves completely.